Named one of Cape Cod Art Center's first Juried Master Artists, Bob is a fine art photographer and instructor at Cape Cod Art Center and Cotuit Center for the Arts. 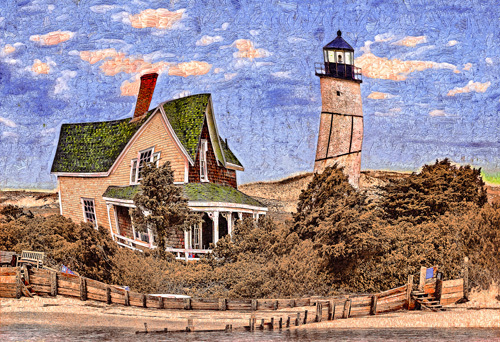 His traditional and contemporary images hang in homes and offices across the United States, in Canada, and in Europe, and have been exhibited at the Cahoon Museum of Art, Cape Cod Museum of Natural History, Cape Cod Art Center, Cotuit Center for the Arts, Creative Hands Gallery, Mass Audubon Long Pasture and Wellfleet Bay Wildlife Sanctuaries, Osterville Fine Art, Samuell-Day Gallery, Soho Arts, and Florida's Abbacino Galleria, and Venice Art Center. Bob's images have appeared in and on the covers of national magazines and newspapers, in advertising, annual reports, video productions and online. He has presented programs at photography conferences and camera clubs, led classes and workshops, and judged competitions from Maine to Florida for over 30 years, and is a recipient of NECCC's prestigious MNEC appellation, awarded for his achievements in photography and his contributions to photographers in New England. A multi-star exhibitor in PSA International Pictorial and Nature Salons, he has earned hundreds of acceptances and awards around the world including the CCCW Photographic Society of America Nature Division Bronze Medal. His images have been awarded top honors in the CCAC All Cape Cod, All New England, and National exhibitions. Bob founded four New England camera clubs, Cape Cod's highly successful series of spring photography seminars featuring world class photographers, and is co-creator of Cape Cod's large annual fall Click! photography conference.